I was born on a sunny spring morning 18th of april 1978 into a family of four. I’m the oldest. Very soon after my birth my family moved to Kemi where my Father’s side of the family lives. But not long ago we settled down to Oulu which has been my present city since that, at least in my heart. I’ve been searching for my heart a few times in the Ostrobothnia region, but as they say, “Your Home is where your Heart is”. And that’s quite true. I’ve been driven by music for as long as I can remember. I really got into the music and playing at the age of 6, the day when my grandfather let me play his organs for the very first time. That day.. I will never forget. He then quickly realized that I really had found something that kinda is what I am, If you know what I mean. He started to teach me to play organs and piano accordion. And you don’t have to guess where I spent most of my spare time I had from school. My first musical memories are my grand father’s old finnish popular music records which we played together. The most special is a song called “Metsäkukkia” because it was the first one I learnt to play entirely. I have those lyrics and sheet music framed on my home. It was a Scottish musician and composer Felix Burns (1864–1920) as the origin for Metsäkukkia / Skogsblommor / Woodland Flowers (also found by the name of Meadow Flowers). My first MIDI rig. Early 90’s. To be quite honest, I never really realized the “Metallica” -thing nor did I listen to any other heavy rock music back in the 80’s. I was more interested in listening to Bruce Springsteen, Michael Jackson, Madonna. And of course I loved the good old 80’s Power Metal not to mention the electronic music especially from Jean-Michel Jarre. In fact I blame Jarre for the lost money I spent on synthesizers. I remember when I was 8, I worked the whole summer picking up strawberries at Suonenjoki just to buy my first real synthesizer Yamaha SY22. 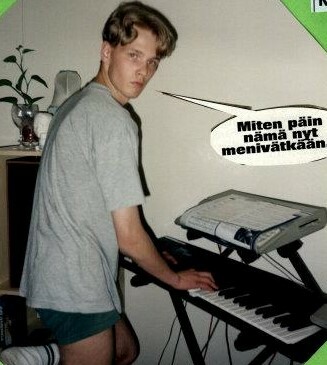 But oh boy, was I the happiest and coolest keyboard player back then! Ever since I have always been interested into get something new out of my rig. Perhaps that’s the reason why my current setup needs a truck. I can’t even think about going nice and simple. Except back at home where I only have my white piano. And that place at home, next to my piano is usually the only place where I get my ideas “on paper”. Most of my life I’ve been playing just by myself. 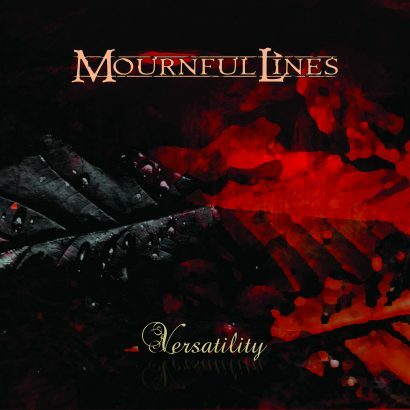 Well there has been some bands and some minor gigs, but composing and performing something own really begun when I took part to my present band Mournful Lines. I guess that somehow all the musical elements that have influenced in me and everything I am..emotionally.. they had finally the chance to pop out. 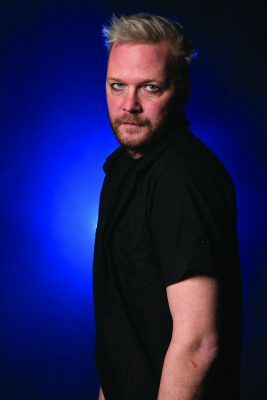 Markus had a strong career already as a musician and composer and perhaps it was not that easy to suggest and show something that I’ve done on my own. But nowadays it feels so great to just make a fast recording with my phone while sitting next to my piano and send the idea to Markus. Usually we decide to go to our studio on the same night. I think our record is that we made 2 new songs (Broken Melody and The Game) out of a scratch in one weekend. I love working with Markus, I am happy to work with the rest of the band. I couldn’t imagine doing something else. Well, playing the keyboards of course, but what I mean is that the people in Mournful Lines are like a second family to me. There are some difficulties every once in a while in the band, in life and in love, but perhaps without those factors there wouldn’t be anything to share with you? Thanks everybody for listening and reading.